Eid means "celebration" and refers to the occasion itself, and Mubarak means "blessed", so on the celebration blessed day, we look the best and latest Eid mobile apps. Eid Mubarak or Blessed Eid (Arabic: عيد مبارك‎‎) is a traditional Muslim greeting reserved for use on the festivals of Eid al-Adha and Eid al-Fitr. Eid Mubarak Photo Frames App has been released by Art Studio Photography. The app description in Google Play read as "Eid Mubarak Photo Frames is a collection of beautiful Eid Mubarak frames, where you can set your Eid Mubarak photo in the frames. This is a unique opportunity to decorate your pics with the turquoise water of the bay and a beautiful sand. No matter where you are, you can use this best Eid Mubarak photo editor to wrap your holiday images and imagine. Select a photo or a selfie from the gallery of your phone and use this luxury Eid Mubarak Photo Frames to decorate it! Eid Mubarak Photo Frames has been installed between 50,000 - 100,000 times by users at the time of this review and has an average rating of 4.6 in Google apps store. Eid Mubarak Photo Frames app has been reviewed by 402 Users and 301 users have rated 5 stars. Eid Mubarak Photo Frames app size varies from device to device and can be installed on any Android device running version 2.3 and up. Eid Card Maker App has been released by OSHIX Entertainment. The app description in Google Play read as "Eid Card Maker is an amazing app for you to send Digital Eid Cards to your Friends, family and relatives on the special occasion of Eid. This app is specially designed for you to share the free Eid cards on social media using the sharing button on top right corner"
Eid Card Maker has been installed between 50,000 - 100,000 times by users at the time of this review and has an average rating of 4.2 in Google apps store. Eid Card Maker app has been reviewed by 565 Users and 361 users have rated 5 stars. Eid Card Maker app size varies from device to device and can be installed on any Android device running version 2.2 and up. Eid Mubarak 2017 Wishes Cards Apps has been released by Moulami Technology Photography. The app description in Google Play read as "Eid Mubarak 2017 Photo Frames for devoted Muslims ! Muslims around the world will celebrate Eid Mubarak. and After a month of fasting, followers of Islam will now start celebrating the festival of Eid-al-Fitr. Try out one of the best "free apps" with "Islam religion" theme to wish Eid Mubarak 2017 to all your friends and family ! Beautify your insta pics with our islamic picture frames that offer symbols and ornaments of the Muslim world. Show everyone that you believe in Allah and pick from "religious picture frames" and send them as Eid 2017 greetings. Lot of islam photo effects that will make your religious images look stunning are waiting for you in this islamic photo frames app"
Eid Mubarak 2017 Wishes Cards has been installed between 5,000 - 10,000 times by users at the time of this review and has an average rating of 4.5 in Google apps store. Eid Mubarak 2017 Wishes Cards app has been reviewed by 28 Users and 18 users have rated 5 stars. Eid Mubarak 2017 Wishes Cards app size varies from device to device and can be installed on any Android device running version 2.3 and up. Eid Mubarak Wallpapers App has been released by TrueIslam Personalisation. The app description in Google Play read as "End Holy month Ramadan 2017 with beautiful free app with the most beautiful wallpapers of Eid. It is made for all the Muslims around the world who celebrate and fast during this holiday. App comes with different Eid Wallpapers with more than 200 wallpapers. If you want to set as wallpaper any of the pictures from this collection, you have to be connected to the Internet to download it to your phone. All the images connected to Ramadan and other events are carefully picked for all the size of your home screen of Android phones so you can enjoy during the holiday. If you are a true believer of Allah then, you will love this app for sure"
Eid Mubarak Wallpapers has been installed between 10,000 - 50,000 times by users at the time of this review and has an average rating of 4.4 in Google apps store. 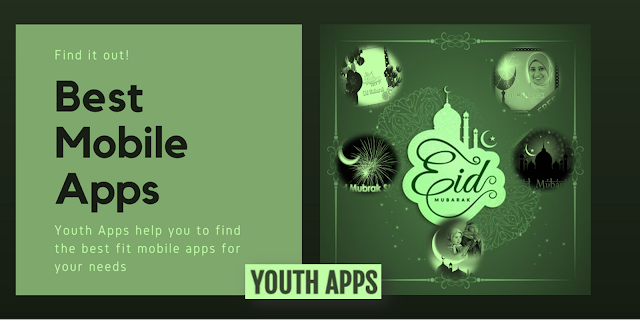 Eid Mubarak Wallpapers app has been reviewed by 125 Users and 80 users have rated 5 stars. Eid Mubarak Wallpapers app size varies from device to device and can be installed on any Android device running version 2.3.3 and up. Eid Mubarak SMS Greetings App has been released by Kookydroid Apps Entertainment. The app description in Google Play read as "Over 650 SMS in one single app. Wish your friends and family a Happy Eid with beautiful text messages. Share sms by simply clicking share or copy with just one button press. Urdu sms are also added in the app"
Eid Mubarak SMS Greetings has been installed between 10,000 - 50,000 times by users at the time of this review and has an average rating of 4 in Google apps store. Eid Mubarak SMS Greetings app has been reviewed by 139 Users and 79 users have rated 5 stars. Eid Mubarak SMS Greetings app size varies from device to device and can be installed on any Android device running version 2.2 and up.